Work for Azure Video Indexer? Learning about Azure Video Indexer? The best thing about video indexer is the AI, is so powerful, can be used to detect, text, audio, faces, brands, and more. There is a trial time which can be used to test the AI but only with outlook/live email. You can integrated it to your app very easy with few steps. there are also regular updates with new changes, features, another good thing about Azure video indexer is, pay only for what you use, this help to make more scalable the projects, because i can control the total investment. Azure Video Indexer is a relative new tool, thats mean still in developtment so there are regions where the performance is very good, and others few regions where the performance can be a bit slow. But with the support of Microsoft this tool which will be one of the most important AI tool in the future. You will need to know how to use JSON very well to use this tool, the trial time will let you only upload 100 videos a day, that is more than enough to test so use it. If is this tool what do you need, go for it you wont be regret, also you can find on the website a very explicative guide about how to use each API, and their new features. I'm using video indexer since v1, they do a impresive updates, and are always working on improvements, this tool helped me to make videos app on very easy way, the AI is so helpful, you can add subtitles to videos, show relevant videos to users, taking adventage of Video indexer because it search using the AI thats mean it will search faces, words, audio, and not only the titles or descriptions, also help to protect the app from unwanted videos. Amazon Rekognition makes it easy to add image and video analysis to your applications. It can identify the objects, people, text, scenes, and activities, or any inappropriate content from an image or video. Google Cloud Vision API is a tool that enables developers to understand the content of an image by encapsulating powerful machine learning models in an easy to use REST API, it quickly classifies images into thousands of categories (e.g., "sailboat", "lion", "Eiffel Tower"), detects individual objects and faces within images, and finds and reads printed words contained within images user can build metadata on image catalog, moderate offensive content, or enable new marketing scenarios through image sentiment analysis. 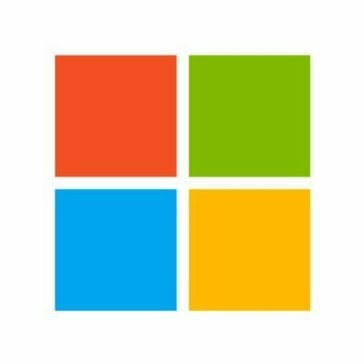 Microsoft Video API is a cloud-based API that provides advanced algorithms for tracking faces, detecting motion, stabilizing and creating thumbnails from video, it allows user to build more personalized and intelligent apps by understanding and automatically transforming video content. And this is where Google's deep dream ideas originate. With simple words you give to an AI program a couple of images and let it know what those images contain ( what objects - dogs, cats, mountains, bicycles, ... ) and give it a random image and ask it what objects it can find in this image. The hub of Clarifai’s technology is a high performance deep learning API on which a new generation of intelligent applications is being built. It enables Clarifai to combat everyday problems with high tech solutions by providing the most powerful machine learning systems to everyone in new and innovative ways. * We monitor all Azure Video Indexer reviews to prevent fraudulent reviews and keep review quality high. We do not post reviews by company employees or direct competitors. Validated reviews require the user to submit a screenshot of the product containing their user ID, in order to verify a user is an actual user of the product. Hi there! Are you looking to implement a solution like Azure Video Indexer?